Designed and manufactured by B&B Attachments, PowerMount is a unique patented system that enables the truck operator to quickly change from one hydraulic attachment to another in just 90 seconds. The PowerMount system allows for attachment change to be completed without the need for an engineer, guaranteeing a fast, easy and safe way to interchange forklift attachments. During the last year modifications have been made to the PowerMount system to improve safety. Sensors have been fitted to the front of the system to ensure that the attachment correctly engages with the PowerMount. This modification not only prevents the operator from fitting the attachment incorrectly, but also eliminates any chance of the attachment slipping or moving out of place. A light switch feature has also been added to inform the operator that the attachment is mounted and correctly locked to the PowerMount system. This new feature ensures that the hydraulic pipework is correctly fitted, and the attachment is ready for use. This modified system, with its new safety features, is supplied to several major supermarket chains, construction sites and logistics companies throughout the UK. PowerMount has become indispensable for companies that frequently handle various types of loads. 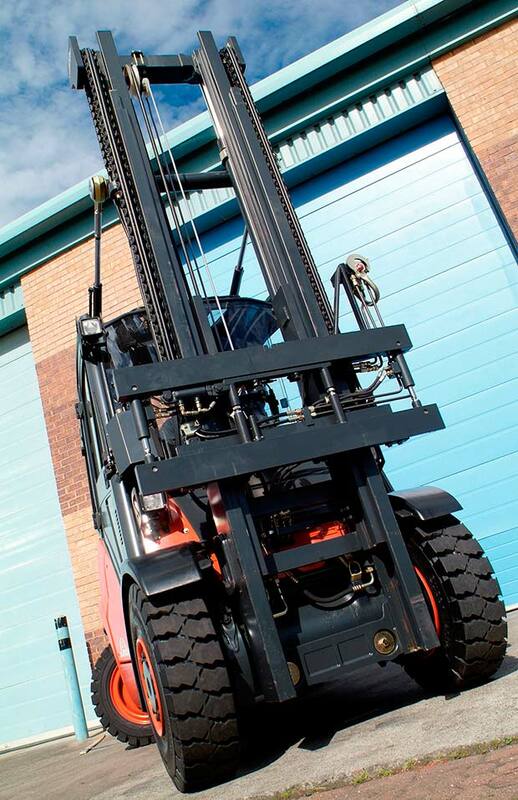 It allows one forklift truck to use several different attachments, providing the best possible utilisation of a forklift fleet. Choosing the correct attachment can have several benefits to the working environment, including enhanced control, increased productivity and improved safe working practice. The PowerMount system enhances on-site safety by ensuring operators are more likely to select the correct attachment suitable for the type of load that requires lifting, rather than compromising by using whatever attachment the truck has fitted at the time for quickness. Using an incorrect attachment for a lift is unsafe and could result in damage to the load and attachment. In some cases, forklift trucks fitted with dedicated attachments can restrict the use of the truck to only a few hours a day, effectively paying for the truck to sit idle for large amount of time. PowerMount has the potential to severely cut fleet costs as it allows the workforce to operate with fewer trucks. This system gives the option to use the same truck for various lifting jobs and allows attachments to be changed in seconds making material handling tasks faster and safer.